The Sculpt Team – the best plastic surgeons in Perth! Sculpt Surgery is a leading provider of cosmetic surgery in Perth. Our expert surgeons offer a range of cosmetic and plastic surgery options to help you reclaim your body and get the skin and figure you desire. Meet our team of the best plastic surgeons in Perth and their team of aesthetic professionals below to reclaim your best body today. 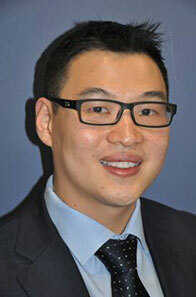 Dr Nguyen is a Consultant Plastic Surgeon. After graduating from the University of Western Australia, He has since completed advanced training in Plastic and Reconstructive Surgery and became a Fellow of Royal Australasia College of Surgeons in 1999. Dr Nguyen completed a Fellowship in Hand Surgery in the United States of American and was Assistant Professor in the Department of Plastic Surgery, Medical College of Wisconsin. There he was involved in a number of research projects in Hand Surgery, Nerve Regeneration and Facial Anatomy. 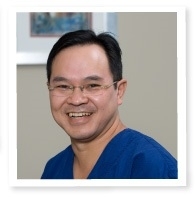 Dr Nguyen has presented at a national and international level in Hand and Cosmetic surgery. He has extensive experience in body contour surgery, breast reduction and breast augmentation. He operates at Hollywood Private Hospital and Joondalup Hospital. 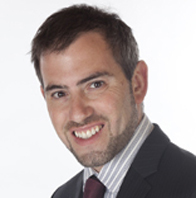 Dr Adrian Brooks is a Consultant Plastic Surgeon with a special interest in melanoma and other skin cancers. In conjunction with Diagnostic Nuclear Imaging, the sentinel node biopsy services are provided at Hollywood Private Hospital. Dr Brooks has extensive experience in many aspects of plastic reconstructive surgery, breast reconstruction, hand and upper limb injuries. He is currently an integral part of the Sarcoma Unit at Sir Charles Gairdner Hospital. Recently he received the “Foreign Scholars Program Award” from the prestigious South Eastern Society of Plastic and Reconstructive Surgeon in the United States of America. Dr Brooks sees all public and private patients. He consults and operates at Sir Charles Gairdner Hospital, Hollywood Private Hospital and Joondalup Hospital. Dr Daniel Luo, MBBS, GradDipSurgAnat, FRACS (Plastics), is a specialist plastic surgeon with post fellowship training in facial aesthetics and minimally invasive facial rejuvenation procedures. His other interests include breast aesthetics and body contour surgery. Having completed his plastic surgery training in Perth and obtained a scholarship from the Australasian Society of Aesthetic Plastic Surgeons, Daniel underwent further sub specialization in facial aesthetic surgery with renowned Melbourne plastic surgeon, Dr Bryan Mendelson. Since then, he has also trained in other prestigious units like Melbourne Institute of Plastic Surgery, Woffles Wu Aesthetic Surgery and Laser Centre (Singapore) and Chang Gung Memorial Hospital (Taiwan). He has published and presented internationally and was awarded the “Surgeons as Educator” prize by the Royal Australasian College of Surgeon in 2007 as a recognition for his contribution in surgical education. His research interests are in breast aesthetics and facial rejuvenation. Daniel is passionate about providing the best possible care for his patients. He understands that when a patient chooses to have surgery, they are making a decisive statement about their life and how they feel about their identity. He thus treats his patients compassionately, offering honest advice about whether he is able to meet their individual needs. Being a devoted father, son and husband, Daniel understands the importance of treating patients the way you would like your family members to be treated. He is able to consult in English and Mandarin. Theresa Chung has been a valued staff member at Sculpt for several years. She is a great asset to the Sculpt team, with over 20 years of general and surgical nursing experience behind her. Theresa is knowledgeable in all aspects of cosmetic surgery and gladly assists patients with every step of their surgical journey. From welcoming patients to the practice at their free initial consultation through to caring for patients at their final post-operative appointment, Theresa ensures every patient’s experience is as comfortable as possible. She offers helpful advice for patients considering a cosmetic procedure in the future, obligation and cost free. Cheyenne has been with us here at Sculpt for three years as one of our senior skin and beauty therapists. She has the qualification of Diploma in Beauty therapy and a Diploma in makeup artistry. She is extremely professional and has a very caring nature. Her passion is in the ‘skin’ and she enjoys performing treatments such as Facials, Chemical peels, microdermabrasion, IPL and assisting our doctors with Fraxel laser. Her aim is to make you feel relaxed during your treatment and achieve the best results possible for her clients.